Research and development (R&D) has always been an important part of transmissions system operators’ (TSOs) activities, as they have always looked for more efficient ways to operate. But Europe’s power grid is evolving quickly. Renewable energy sources are continuously growing and their integration into the grid is a challenge, which requires new ways of thinking in transmission system operation. ENTSO-E’s Research and Development Committee (RDC) is coordinating the research and development actions taken by TSOs, notably towards smarter grids. R&D Roadmap outlines the long term methodology that TSOs are using for their R&D policy in response to the EU climate and energy objectives. R&D Implementation Plan derives from the R&D Roadmap and lists the TSOs R&D activities for the next three years. R&D Monitoring Report assesses R&D activities in Europe’s electricity sector against ENTSO-E’s R&D roadmap. R&D Application Report assesses the concrete impact of TSO R&D projects and analyses the main barriers encountered by TSOs in their R&D activities. In addition to these reports, ENTSO-E’s RDC released the Power System Vision and Action Paper, which looks at the challenges the European power system is likely to face in the future and shows how ENTSO-E responds to these challenges through its work products. why they need to be implemented now: ENTSO-E’s work products are designed so that, regardless of the technical challenges system operation and development entails, EU citizens and EU businesses can rely today and in the future on a continuous and affordable supply of electricity in their day-to-day life and economic activities. This is why the paper calls for strong political will and support to make use of ENTSO-E’s readily available work products and implement them without further delay. ​​​The RD&I Roadmap 2017-2026 is the third Roadmap published by ENTSO-E and outlines a methodology that contributes to achieving the European climate energy objectives defined in the European Union’s “20-20-20” targets and the European Commission’s Roadmap 2050. It lays the groundwork for the upcoming electricity highways, smart grids and for the change to a low-carbon electricity system. Within the Roadmap, six distinct yet interdependent R&D clusters serve to focus and differentiate the many tasks required to address the challenges of Europe’s rapidly shifting energy paradigm. Each cluster helps facilitate collaboration between European TSOs, industry and research institutes while collectively they provide a shared repository of ideas. R&D investments bring enormous benefits: The size of the investments required for effective TSO R&D is relatively small yet the potential long- term benefits of R&D work are enormous. Through pan-European R&D, transmission operators will be in position to progressively identify new functionality and technology needs for the networks in a more coordinated fashion. Furthermore, R&D provides a means of mitigating the potential risks of failures in energy policies and infrastructure investment. Only adequately funded R&D returns cost effective and advanced solutions: A long-term solution for financing TSO R&D (through energy tariffs or other means) is vital to foster investment in innovation. The current situation of relying on public financing has led to chronic underfunding of R&D. Within the framework of the ten-year R&I Roadmap 2017–2026, the ENTSO-E R&D Implementation Plan identifies the research and development actions needed by TSOs while taking into account the fast evolutions of the European political context. the much needed cooperation between TSOs and DSOs on demand-side response and balancing/ancillary services. 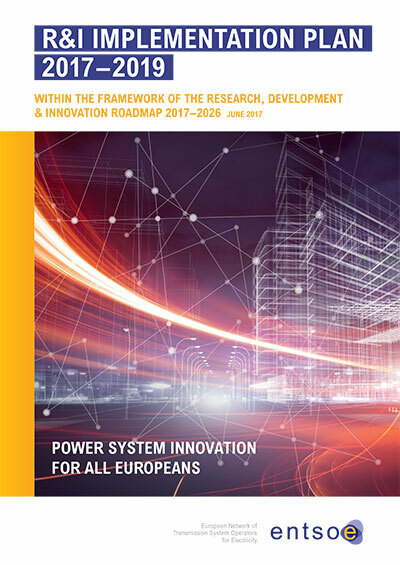 What the Implementation Plan 2017-2019 highlights is the growing disconnection between the ambition of EU for Europe’s electricity power grid, the need for more research and innovation in transmission systems, and the actual funding available. ENTSO-E calls for greater harmonisation of regulatory frameworks at EU level and for national transmission tariffs allowing TSOs to invest more in R&D and prepare the electricity networks of the future. 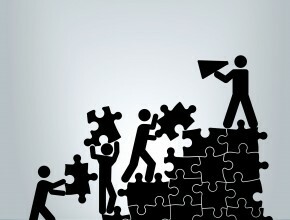 The Implementation Plan takes stock of TSO-led research against the objectives set by the EU (the SET-Plan Integrated Roadmap and Horizon 2020, the EU Framework Programme for Research and Innovation). A lot of the projects included in the Implementation Plan will be showcased at the ‘not-to-be-missed’ electricity grids R&D conference Innogrid2020+. For any question on the report, please contact Norela Constantinescu. The completion of the R&D objectives set by the R&D Roadmap 2013 – 2022 has considerably progressed, from an estimated 11 % of completion in 2013 to 38 % today. An additional 17 % is already underway. 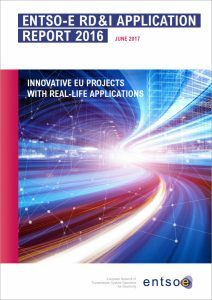 This report considers 71 R&D projects. This is almost double the number of projects considered in the R&D Monitoring Report 2013. For the first time, this report identifies 16 major R&D results as the most promising for short-term deployment by 2020. The R&D Monitoring Report allows TSOs to monitor their progress in pursuing the objectives set by the R&D Roadmap 2013 – 2022. Based on this information, ENTSO-E will write the specifications for the R&D Implementation Plan 2017 – 2019 and define a new update of the R&D Roadmap, both to be published in 2016. The annual R&D Monitoring Report assesses the progress of TSO-related research and development (R&D) work and allows ENTSO-E to monitor its progress against the targets of the R&D Roadmap 2013–2022. A total of 38 R&D projects are considered in the 2013 report. These projects, deemed relevant to TSOs are funded either through the European Commission, Member States or directly by TSOs. The findings of the 2013 report clearly demonstrate that ENTSO-E is well advanced in meeting its R&D Roadmap targets and technical objectives. Comparisons with the Monitoring Report 2012 provide many examples where significant progress has been made, for example three new European projects (Best Paths, Garpur and InspireGrid) have commenced, while four other large projects (Twenties, Optimate, Pegase and Safewind) were successfully completed.